35 year old Joe Allen Meadows of Livingston is facing felony drug charges, and felony evasion. 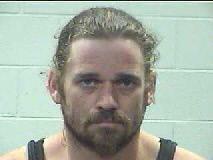 35 year old Billy Wayne Munson of Cleveland is facing a felony drug charge. Investigation Produces Two Arrests on Felony Drug Charges, LIVINGSTON, September 14, 2012 - On September 13, 2012, a nearly three month investigation into illegal use and distribution of methamphetamine by Joe Allen Meadows, 35, of Livingston, came full circle with the arrest of Meadows by the Polk County Sheriff's Office Narcotics Division. Prior to September 13, 2012, the Narcotics Division had received several tips regarding Meadows and his illegal business of distributing meth throughout Polk County. On August 23, 2012, Narcotics Detective Christopher Lima attempted to initiate a traffic stop on Meadows who was riding a dirt bike on public roads. Instead of stopping, Meadows chose to evade and was able to get away. A felony warrant for Meadows' arrest was obtained for evading with a vehicle and it was also learned Meadows already had five outstanding misdemeanor warrants out of Polk County. On September 13, Detective Lima spotted the dirt bike and a vehicle that Meadows is known to drive parked at his business located in Livingston. Lima and fellow Narcotics Detective, Vance Berry moved in on the building and was able to take Meadows into custody without incident. A search of the building and Meadows' vehicle was conducted and a large quantity of methamphetamine was located in both. Joe Allen Meadows was charged with manufacture/delivery of a controlled substance (a felony) in addition to his six additional warrants. 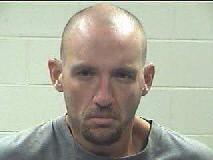 Also arrested and charged at the scene was Billy Wayne Munson, 35, of Cleveland. Munson was charged with possession of a controlled substance (state jail felony). Detectives Lima and Berry were assisted by the Texas Department of Public Safety and Texas Parks and Wildlife Game Warden, Ryan Hall. At time of press, both Meadows and Munson remain in Polk County Jail (Meadows on a $66,000 bond, and Munson on a $20,000 bond both set by Justice of the Peace, Larry Whitworth).